Welcome to the "Shipwrecks and Maritime Tales of the Lake Erie Coastal Ohio Trail" website! This site is dynamic, and will be for quite some time-so keep checking back to see what's been added! Our goal is to make you, the visitor, aware of the rich maritime history which lies beneath the surface of Ohio's Lake Erie. The mysteries surrounding 'shipwrecks' are always exciting, while the history associated with each shipwreck reveals the role it played in the development of Ohio, the Great Lakes region, and our nation. The shipwrecks within this website are a mere sampling of the hundreds of shipwreck sites located in the depths of Lake Erie. The wrecks featured here were selected from an advisory committee composed of local scuba divers and dive clubs, professional dive guides and charter captains, and maritime history professionals. Whether you are a seasoned scuba diver or a maritime history aficionado, we believe you will not only learn more about Lake Erie's maritime heritage, but will also gain an increased respect for the need to preserve and protect Ohio's historic shipwrecks.. If you are a Lake Erie wreck diver or maritime history enthusiast, and have photos, U/W video or information you would like to contribute to the website, please contact us. This is a 'live' website and will continue to grow as we obtain new information. As an eco-tourist interested in exploring all Lake Erie has to offer, you will discover a whole new world 'beneath Lake Erie's surface' to investigate; and you don't have to get wet either! 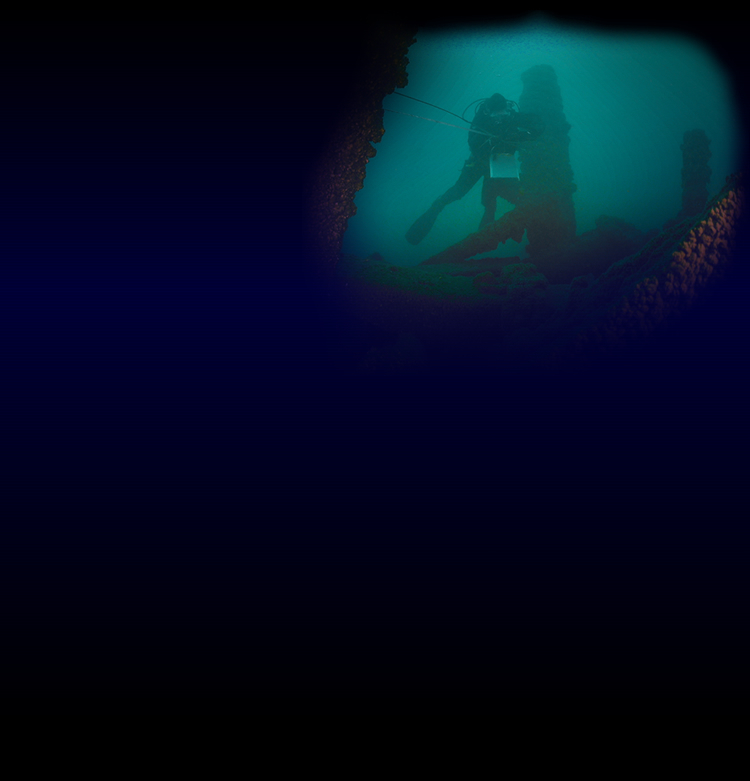 The website will offer underwater images and short video clips to give you that 'virtual dive' perspective. For more maritime and Lake Erie related points of interest, Lake Erie Coastal Ohio can point you in the ri ght direction, including a 'do-it-yourself' Lake Erie Lighthouses & Maritime Adventures guide which will take you, lighthouse by lighthouse, from Toledo to Conneaut. 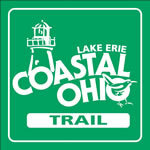 Visit Lake Erie's Coastal Trail, part of America's Scenic Byway System. We also encourage you to investigate our resources listing and website links. Here you will find many very interesting and informative shipwreck publications and sites related to both Lake Erie and the Great Lakes, in addition to website links provided for Lake Erie shipwreck preservation and research organizations, local dive clubs and dive centers. The Ohio Sea Grant College Program is located within The Ohio State University, and is part of Ohio State University Extension. Ohio Sea Grant is one of 32 programs in the National Sea Grant College Program, NOAA, U.S. Department of Commerce. The program uses a combination of research, education and outreach projects to address critical environmental, economic and education issues affecting Ohio, the Great Lakes region and the nation. Sea Grant is a true partnership between universities, government and the private sector. Each year the program supports projects at a number of Ohio colleges, universities and agencies. Also part of Ohio Sea Grant is the university’s F.T. Stone Laboratory, located on Gibraltar Island at Put-in-Bay, Referred to as Ohio’s Lake Erie Laboratory . Stone Lab was created in 1895, and is the oldest freshwater biological field station in the country. The Laboratory is administered by the School of Natural Resources in the College of Food, Agricultural and Environmental Sciences at Ohio State University.